Standard Bank says vehicle market "remains steady"
According to Standard Bank Vehicle and Asset Finance, South Africa’s vehicle market remains buoyant. That is despite economic headwinds and, it adds, the positive growth in heavy commercial and passenger vehicles in June is a sign of steady consumer and corporate demand. The bank released its statement on June sales based on its analysis of the National Association of Automobile Manufacturers of SA (Naamsa) statistics, which showed new vehicle sales up 3% from this time last year to 46,768. This is also well above the 42,950 sales seen in May. Growth was driven - the bank says - by passenger vehicles, which registered sales of 29,886, up 4.4% from June 2017; and heavy commercial vehicle sales of 553, up a handsome 18.9% from the year before. Within the passenger segment, most sales appear to have been supported by new models and on-going manufacturer sales incentives. “While the sales in the year to date are a little behind the curve, the data this month signals a steady trend, with the main support levels coming from the passenger and commercial markets. The expectation for the second half of the year remains positive, with an expectation of growth to remain around 2%. ” says Cyril Zhungu, Head of dealer automotive retail at Standard Bank. There is a clear on-going strong demand pattern through the dealer channel to the general buying public. 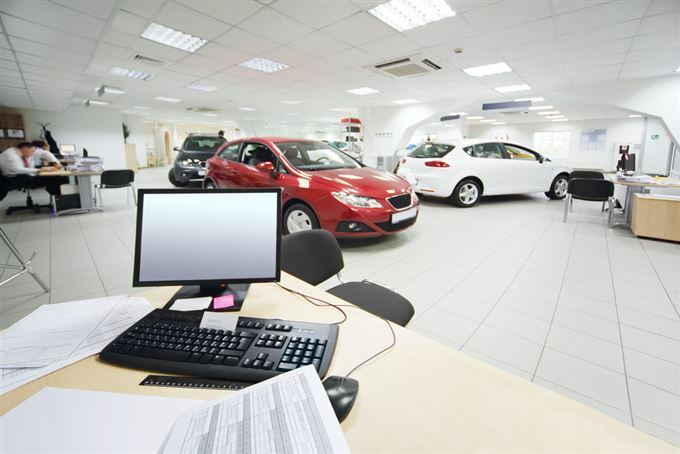 This is represented by the fact that over 82,5% of vehicle sales are through dealers. According to Standard Bank application numbers, continued growth in applications was noted, resulting in positive vehicle replacement trends by customers. June represents a quarterly close out period for most retailers, which is often supported by on-going manufacturers’ sales incentives. The analysis found that, despite the positive outcome of the vehicle sales numbers in June, there appears to be some motoring budgeting pressures expected from recent increases in fuel prices. Such upward price adjustments are not expected to significantly influence purchasing behaviour, but possibly shift buying behaviour towards smaller segments, which appears to still comprise most of the passenger car sales as reflected in the June numbers. The impact to the South African market is unfortunately beyond its control given a tricky combination of a weak Rand against the dollar as well as the rising oil price. The bank continued that vehicle new and used ratio remains the same with more customers seeking to purchase used vehicles despite the lower vehicle price inflation on new vehicle. There is no doubt, however, that consumers will continue to take advantage of the lower inflation in new vehicle pricing to replace their vehicles. The lower economic growth numbers reported over the last quarter is more reflective of the current sentiment affecting the corporate sector, as evidenced in the lower year-on-year commercial sales figures. It is our expectation that this sentiment will continue for the rest of the year in the corporate sector. The market outlook remains stable to positive as key segments are expected to deliver a similar to a better sales outlook for the second half of the calendar year. Standard bank still retains its forecast of 2% growth for the calendar year 2018, to yield approximately 568 000 units for the year.